What Are Facebook Hashtags and How To Effectively Use Them? If you have used Twitter, then you might be familiar with #hashtags. A #hashtag is basically a word or a phrase which is prefixed with a #. These #hashtags basically turn topics and phrases into click-able links. Twitter, Tout, identi.ca, Tumblr, Instagram, Flickr, Google+, all support hashtags. Recently Facebook also added the support for hashtags, and naturally, a lot of the users out there don't know what to do with them. The concept basically carries over from Twitter, so Twitter users who use Facebook know what they are. But for someone who has never used Twitter in their life, the hashtag can be an enigmatically cool-looking phrase which apparently is becoming 'cooler' and trendier by the day. Here's all you need to know about Facebook Hashtags. 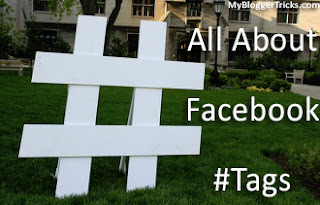 How can you use Facebook #hashtags? Search for a specific #hashtag from search bar. Click on #hashtags that originated from other services, such as #Instagram or #Twitter. Compose posts directly from the #hashtag feed and search results. #hashtag, if promoted by enough individuals, can "trend" and attract more individual users to discussion than without using the #hashtag. This can lead to a deep impact on SEO (Search engine optimization). This means that if you use the right #hashtag you can increase traffic to your post. E.g you used the #hashtag #LasVegas in your post. Your post would be visible(if allowed) to all the users who clicked or searched that tag. So a #hashtag can be called a #traffic #magnet. Using #hashtag is a great way to promote your local business, page, products, special events etc. The more users search and click a #hashtag the more views you will get. But as I mentioned earlier you have to use the right #hashtag for getting appropriate searches. The number of searches also depends on various other factors such as brand, post reach etc. If you’ve already been using hashtags in your Twitter, Google+, Instagram, LinkedIn or Pinterest posts. You can save some time by being able to post the same content across several platforms. Using hashtag just for the sake of getting heavy traffic is really a bad idea. This way you could ruin your reputation. Only use hashtags that are relevant otherwise users will be simply annoyed by your posts. Users search for hashtags that are obvious and trending, which they think that other folks are using. So, keep your hashtags obvious, this way you get more traffic. The best bet is to keep your hashtags based on brands, locations, services etc. Your hashtags should be cool, simple and short. You should make sure that people can easily memorize and write a specific tag. E.g. you can’t expect that a person would remember a hashtag which makes no sense and comprise of many words. So, your best is to keep your hashtags simple and obvious. You are aware that if you spam anything, it ultimately would lead to your bad reputation. Same is true while using hashtags. If you use many hashtags in your post you would not receive attention, because you’ll be seen as a spammer. In fact research shows that if you use more than two hashtags in a post, the traffic would fall instead of rising. If you use a specific hashtag for the first time, you should add the definition of that hashtag. This ensures that if someone searches for a tag, he/she would know that what this tag is about. You can add the definition of your hashtag at: ‘http://www.hashtags.org’. It would be embarrassing if you use a hashtag which is already used by another company or person for an entirely different purpose that doesn’t align with their company message at all. So, the best practice is to do a little research before using a hashtag. If you want to track or test a hashtag then go to: ‘ https://www.hashtracking.com/ ‘ . Hashtags have been proven to be of a viral worth in case of all the common social networking sites. However, In case of Facebook, their worth is not yet defined since, some people appreciate Facebook’s hashtags and some say that introducing hashtags in Facebook is useless. The impact of these hashtags is still unknown. So, will you adopt the habit of using hashtags in Facebook? Yeah, this really different tips and information about Facebook has tag,. Usage of hash-tag is quite often these days, i mostly use them while chatting with friends on any fb post. anyway good for newbies to understand !